The SAI Equipment Expo 2016 was hosted at the historic Buffalo Trace Distillery in Frankfort, KY on May 18th. The event included an all day trade show where many of our major manufacturers represented in the Kentucky market exhibited their products and services. Vendors included: Armstrong Fluid Technology, Cleaver-Brooks, Danfoss, SAI Aftermarket Services, Smardt, TMI, Xetex & Yaskawa. Two technical seminars were offered: "Implementation of Condensing Boilers in Hydronic Systems" and "Optimization of HVAC Pumping Systems". Attendees also enjoyed a complimentary luncheon and chances to win great door prizes! The event ended with a guided tour of the distillery and a bourbon tasting. A great time was had by all! Please join us in welcoming Tom Davies to the SAI team. 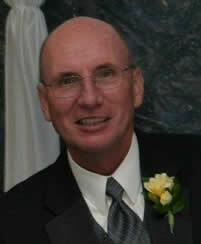 Tom has lived in the Louisville Kentucky area all his life, and is a graduate of the Univeristy of Louisville. He brings 34 years of HVAC sales and service experience with him as he begins his next chapter with us. 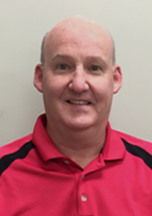 Tom's knowledge and experience combined with his established customer relationships throughout the Louisville and Lexington region make him a valuable new asset to the Stoermer-Anderson lineup. Tom will be calling on consulting engineers, contractors, and end users throughout our Kentucky sales region. Welcome aboard Tom!! It is with deep regret that we announce the passing of the president of Stoermer-Anderson, Inc. - Nick Anderson. After a lengthy illness, Nick passed away on August 22, 2014 at the age of 64. Nick began his career in the industry working with his father at the R.G. Anderson Company in the early 1970's, and became president in 1991. Nick continued as president of Stoermer-Anderson, Inc. after the merger in 1999 to present day. His leadership and vision has helped Stoermer-Anderson, Inc. grow to become the prosperous company that it is today. As Stoermer-Anderson, Inc. moves forward, Nick's vision of sales and service excellence in the industry will continue. He will be greatly missed by all of us at Stoermer-Anderson, Inc.
SAI is proud to announce our recent partnership with TMI Climate Solutions. Cleaver-Brooks is well known throughout the industry as the sole provider of integrated boiler/burner/controls solutions as well as being the leading manufacturer of boiler room equipment across the commercial, institutional and industrial markets. We are extremely excited to be teaming up with such a proven industy leader! As of July 1, 2013, Stoermer-Anderson, Inc. will be the official sales representative for Cleaver-Brooks covering the Cincinnati & Dayton areas in Ohio as well as a large territory in Kentucky which encompasses the Louisville and Lexington areas. Stoermer-Anderson, Inc. will providesales and engineering expertise for new installations, as well asaftermarket parts and support. We also have a full service team with years of experience readily available, 24/7.